What is the best way to make sure that you are purchasing the right vehicle? Simple, just let the vehicle through a pre purchase car inspection! The pre purchasing phase is the most crucial, because this is when you could either be tricked into investing in a flawed vehicle, or get lucky and end up with the right one! But relying upon luck every single time you buy a car is not such a good idea. Instead, take advantage of the pre purchase vehicle inspection service by Reservoir-based All Types Automotive to get the most bang for your buck when buying a vehicle. In the busy suburb of Reservoir, bustling with vehicles of all makes and models, it’s worthwhile to get your vehicle tested before selling or purchasing it. The inspection might reveal or diagnose a problem at an early stage, allowing preventative measures to be taken to keep the problems at bay. It also builds confidence among buyers, allowing you to sell your vehicle faster. When purchasing a vehicle, most buyers tend to skip doing a pre-purchase vehicle inspection in order to save money and time. This can lead to greater problems after you have purchased a car. To make sure more and more people avail this inspection, All Types Automotive offer pre purchase car inspections at exceptionally affordable rates! Our licensed vehicle testers have the skills to inspect vehicles and provide a verdict on their condition. As part of our pre purchase vehicle inspections in Reservoir, we carry out a number of tests to check the vehicle’s overall performance and its capability to perform on the road. The inspection includes checking the external body frame as well as the internal engine to spot any problems. The test involves the inspection of wheels, seats & seatbelts, steering, braking & suspension systems, lamps, windows, windscreens and the performance of engine. The pre purchase test also includes a test-drive to analyse the engine’s performance on the road. All Types Automotive are certified to issue a roadworthy certificate after the vehicle has passed the inspection. The certificate exhibits that the respective vehicle is properly maintained and capable of travelling long distances. 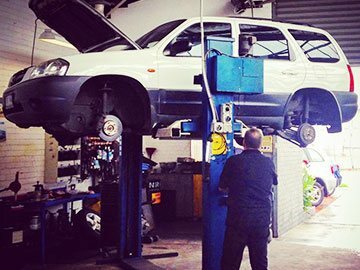 At All Types Automotive, we provide pre purchase car inspection for residents in Reservoir, Brunswick, Campbellfield, Glenroy, Pascoe Vale and surrounds at prices that are within everyone’s reach. Our specialists take special care at examining your vehicle and will report even the most minor detail regarding your vehicle. If you want to get your vehicle inspected by professionals at reasonable prices, then All Types Automotive is the right choice for you!